Brazon is the Miss Gay Ohio America 1995 and was a top 10 finalist twice at the Miss Gay America Pageant. She was a regular entertainer at the Eagle in Columbus but performed in several venues all over Ohio. 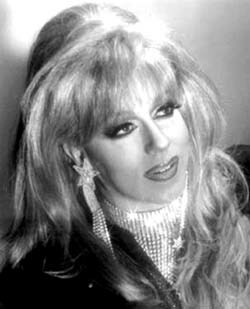 The Ohio Drag community sadly lost Brazon in May of 2002 when he was brutally murdered in his Clintonville home in Columbus, Ohio. Thank you for this site. Gary was one of the most vibrant people I’ve ever met. It still saddens me deeply that he is no longer here.